Did you know that research estimates that businesses with around 1,000 employees waste $2.5 to $3.5 million a year searching for or replacing lost contracts? This is just one eye-opening statistic pointing to the need for more efficient contracting processes. Experts like those at the Association for Contract and Commercial Management (IACCM) continue to warn that manual contract management is not just slower, but also causes lost revenue. Why? Partly because contract management is a complex system that touches so many aspects of a given business. In a business world increasingly reliant on contracts for survival, it’s crucial for companies to have a centralized, standardized system for managing them. That’s exactly what contract management software is designed for. More and more, experts are naming contract management software as an essential tool for businesses of all types and sizes. Most contract management software takes advantage of recent advances in cloud security to offer safe, cloud-based storage of your documents, which translates to huge boosts in productivity – and, eventually, financial benefit. 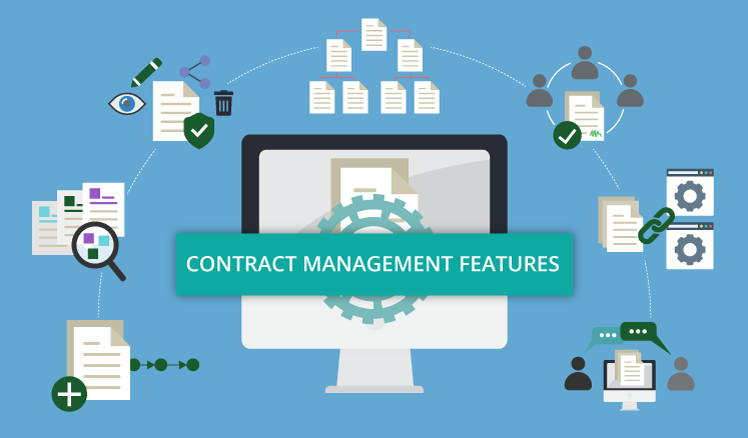 Let’s break down some of the advantages of contract management software in business today. Contract management software offers companies much better access through cloud-based services. No matter the size of your company or team, everyone who needs to should be able to remotely or locally access whatever documents management designates. Advances in cloud security make cloud technology much safer than you may think. So not only does contract management software keep all your documents in one place, it also protects them better than ever before with better servers, malware and virus detection, and, often, back-ups and redundancy. Centralized storage means no more lost or misfiled contracts – which means reduced labor costs and better margins for your business. A standardized process for negotiating, signing, and monitoring contracts throughout the lifecycle makes compliance audits and risk management much more efficient. Because most contract management software digitizes your analog documents and allows for the creation of new digital contracts from scratch, navigating your repository becomes much faster and easier. The best software should enable you to locate, review, and group contracts by type or party for easier monitoring, letting you catch risks and oversights early. Software doesn’t just digitize your documents; it also automates tracking and reports. Look for software that allows you to set reminders and alerts to improve workflow and keep better track of deliverables, timelines, and compliance, thereby reducing risk and costs. How much time have you or your team members spent searching dry, dense contracts for particular clauses or dates? With digital searchability, contract management software lets you find, share, sign, and revise contracts as quickly as easily as using a search engine. Good contract management software should be “integrated” with third-party programs, such as electronic signature or customer relations management (CRM) software. This helps streamline inter-organization or client relations, which translates to lasting interpersonal and financial benefits for your company. Contract management software isn’t just a bonus for your business’ operations – it’s a must. As technology advances and companies rely more and more on contracts to seal their agreements in writing, it will be more important than ever for businesses to stay ahead of the curve by adopting software to help standardize their processes.